While we can't say we're huge fans of previous projects from ASMA Design, we understand that individual taste is beyond debate. The German tuner has customized virtually every car in the Mercedes lineup with its signature deep grilles and other styling elements that are definitely unique. And isn't that exactly what you're looking for in a personalized ride? Something unique? Something that stands out from the crowd? Something that makes a mockery of regular old off-the-rack vehicles? While that mentality can certainly be understood when applied to models that you might pass on the road every day, we don't know what to think of doing this tuner treatment to an already great supercar like the Mercedes McLaren SLR. We get something like the RENNtech version, which turns the SLR into a DTM racer, but this new ASMA Design SLR is simply beyond us. Dubbed the ASMA Design Perfectus SLR, it was apparently designed for the Royal Family of Abu Dhabi, but will be available to any commoner with an SLR, too. While the bump in horsepower to 700 is attractive, we can't really say the same for the changes to the bodywork. If this seems like something you'd like done to your SLR, ASMA will be happy to take your &euro;1 million. 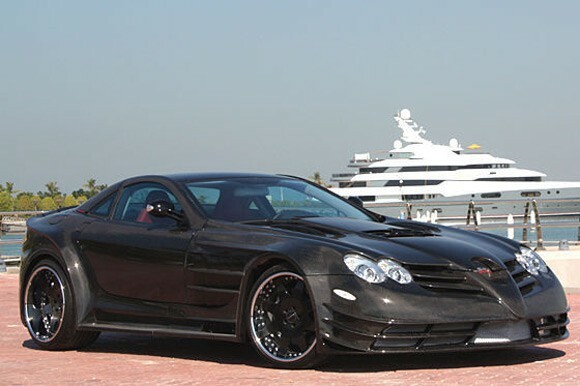 [Source: MotorAuthority]ASMA Perfectus SLR is anything but originally appeared on Autoblog on Mon, 19 Jan 2009 00:59:00 EST. Please see our terms for use of feeds. That looks.... not so good. Hey, that looks just like one I wanted . . . .